Have you ever logged into your MLS and seen pictures you took for a listing show up on another listing? Maybe it’s the same property, maybe it isn’t, but you took those pictures and no one asked for your permission to use them. Guess what? That’s a potential violation of copyright. You’re the owner of the pictures – unless you signed a release and gave them to someone else – and in order to use them, your permission is needed. Full disclosure: I am not an attorney nor do I play one on TV, but I have watched a lot of Law & Order so maybe that’s something. If you have questions about the specifics of copyright law and infringement or want to know if something definitely violates copyright, you need to contact an attorney. Just because someone has the ability to right click and save some photos they found in the MLS or somewhere else online doesn’t meant they’re allowed to do so. The same is true for content on your website. This is a quote, and I’m treating it as such. Quotation marks, source clearly marked, and I’m not pretending I created it myself. Basically, if you didn’t make it, create it, perform it, or do anything to make sure the product belongs to you, you can’t use it without permission or payment. You can quote from it, as long as you cite your source. You can certainly link to it, but you cannot pass it off as your own. Photography found on the internet that you didn’t pay for, receive permission to use, or cite a proper source. 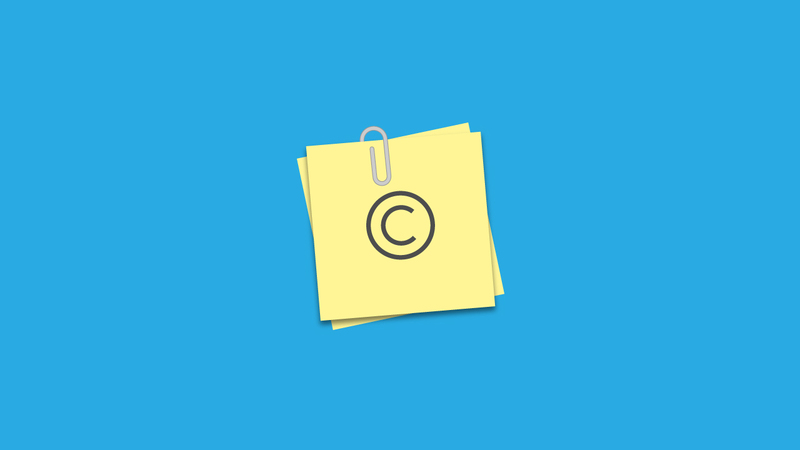 Entire blog posts, passages of text, research you didn’t write or create that you didn’t receive permission to use or (does this sound familiar) cite the original source. Using music in a video or podcast that you didn’t purchase or obtain permission to use. You may be able to use a song for a few seconds or in very specific circumstances but if you aren’t completely sure, pay for the right to use it or get permission. Think waaaay back to those years in high school and college when you had to write report after report. Anytime you wanted to use someone else’s information as the basis of your theory or to help you explain something, you had to what? That’s right, cite your source. And if you wanted to use entire phrases or sentences, you had to quote the person and name them in the report. Please tell me I’m not the only one who remembers the pain of formatting and listing all my references, too. Do you remember what you couldn’t do? You couldn’t lift entire passages or chapters and pass them off as your own. The same is true in the online world. You can absolutely quote statistics you find or allow someone else’s content to influence your opinion or discussion, but you must always cite the source. When you’re directly linking back to someone and using a line or two from their content (with proper quotation marks and naming them as the source), you don’t usually have to ask permission – unless they make it clear that you do. Share the original piece on social media with your own comments about why you think the article is so good. Highlight one meaningful quote on your blog, clearly explain where you found the piece, and then tell your readers to click the link to read the whole article – and link back to the site where you found it. Summarize what you read, being careful not to plagiarize, name the source, and link back to the original source. Contact the writer and ask permission to reproduce the content on your blog (with proper citations and linking). If they say yes, great! If they say no, respect their decision. Images and photos online are harder and harder to use without violating copyright short of only using stock image pieces you buy. Because of this, it’s truly the only real way to know you’re not breaking any rules or landing yourself in hot water. What about all those funny memes and quotes online? Well, this is where I’m not a lawyer, and you’ll definitely want to check with one. In my experience, those are fine to use as long as you cite your source and link back to where you found it but according to this Washington Post article, you could still be violating copyright and the legal system hasn’t really decided if internet memes are special cases or not. Tread lightly here. In this day and age, it’s almost expected that what you create will be shared, linked to, and unfortunately, used without permission. Just because it’s expected doesn’t mean you should violate copyright. Remember, as a real estate professional you’re a business. Someone might not sue a private individual, but as you well know, they will definitely come after a business. Stay out of the courtroom and off the phone with your attorney and don’t violate copyright in the first place. When in doubt ask for permission and wait, pay to use the content, or leave it alone completely. What you think of as a harmless image you found online to reuse or an excellent article could cost you hundreds or thousands of dollars.